Hair Grass…Elocharis acicularis? Which one is it? Both actually! 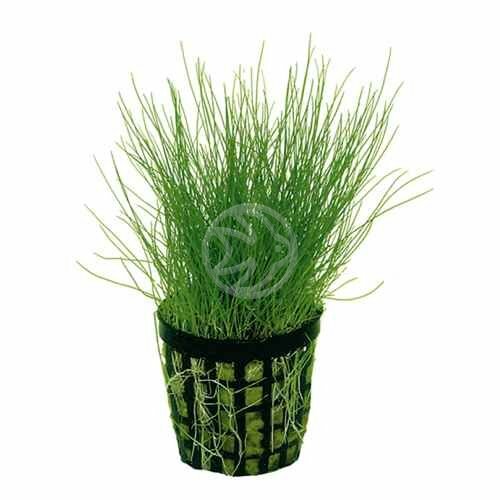 If you’re looking for what is commonly known as Hair Grass, then you’ll find there are a few varieties. However the Latin name to this lovely plant is Elocharis acicularis. And whilst we’re on the subject, I thought now would be a good time just to detail it a little. Now this plant has been around for donkeys years and there’s good reason for it too. It’s a really lovely plant. Typically the pots are full as well – meaning that it grows quickly for the commercial growers. In fact I was only talking to them about it the other day and I was double checking the conditions that it needed (or rather the conditions they grew them in). Lots of light and high humidity. So if you give it that, guess what?! It grows like a weed. Lots of CO2 – and don’t be tight here. You need to see you tank like a glass of champagne. I spoke to a customer today who was using a CO2 system with a 95g bottle. He could never get his drop checker to go green and he didn’t want to add more CO2 as it was costing too much for the 95g bottles. Answer, get a new reg and buy a big, cheap refillable pub style CO2 bottle. Pick up a 5kg bottle for less than £20. Then crank the CO2. WARNING. Restrict CO2 levels and you’ll grow algae, not plants. When you do plant Eleocharis into your nutrient rich substrate (notice I am not suggesting pea gravel), give it a couple of weeks at least before you start trimming. If you go hard at it with the scissors from the beginning, it won’t be happy. Start trimming when you see new shoots growing – that’s when the time is ready. Apart from that it’s an easy plant to grow. Carpets very very well in high lighting and will make you very happy if, and only if you give it what it wants.